Congratulations Georgina Nathan! We’re delighted to announce that you are the winner of our Freebie Friday competition! 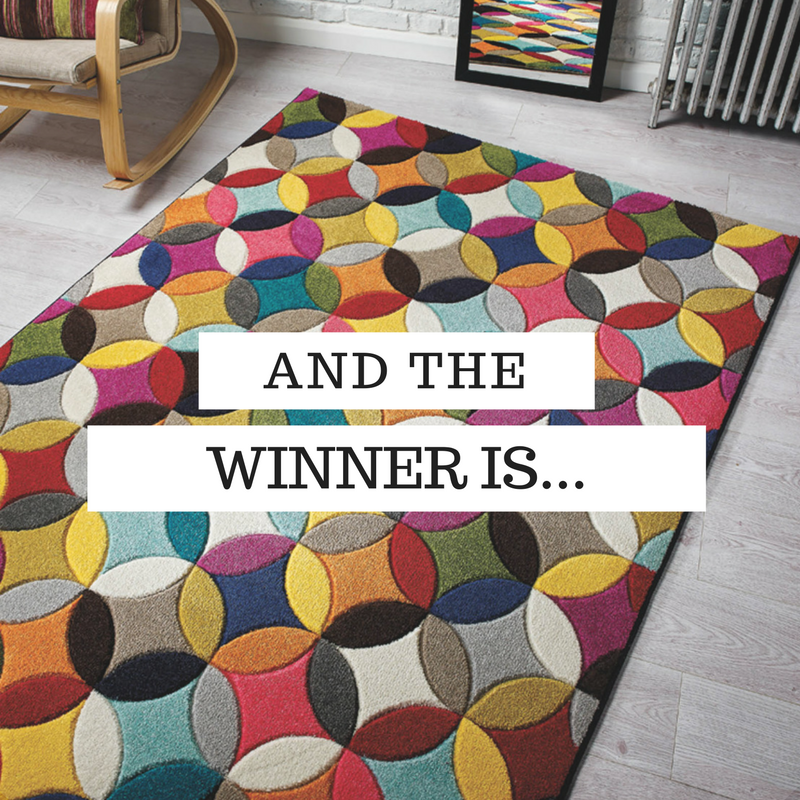 The lucky winner of a fabulous Spectrum Mambo rug! This piece will transform any room from dull to delightful in an instant! We want to say a GIANT thank you to all the wonderful Twitter followers, old & new, who entered our competition! We appreciate it! But don’t worry, the next winner could be you. Don’t forget to stay tuned for upcoming competitions and giveaways and keep an eye out for our Freebie Friday competitions on Facebook and Twitter! Follow us at @therugseller on Twitter and The Rug Seller on Facebook.